With a commitment to nurturing the potential of kids, promoting healthy living and fostering a sense of social responsibility, the Ottumwa Family YMCA ensures that every individual has access to the essentials needed to learn, grow and thrive. The YMCA welcomes all who wish to participate and believes that no one should be denied access to the Y based on their ability to pay. Through our People Helping People Scholarship Program, the Ottumwa Family YMCA provides assistance to youth, adults and families based on individual needs and circumstances. 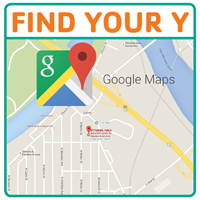 Determining assistance amounts is handled by local YMCA in a fair and consistent manner. Every YMCA member receives the same membership benefits, regardless of whether or not they receive a scholarship. YMCA memebrs can feel confident knowing that they are a part of an organization that cares greatly for the well-being of all people, and is committed to youth development, healthy living and social responsibility. A People Helping People Scholarship reduces membership fees; it does not eliminate them. All People Helping People Scholarships will be granted for 12 months. The YMCA requests that individuals and families reapply annually, with updated documentation. Membership fees are subject to change when you reapply. If you do not reapply at the time requested, your membership will expire. For questions regarding People Helping People Scholarship Program, please contact Sherry, YMCA Business Manager at (641)684-6571 x24 or penniston@ottumwaymca.com.